If you are diabetic or overweight, we suggest you avoid potato, sweet potato and watermelon and also replace milk, curd and paneer with their low fat counterparts. 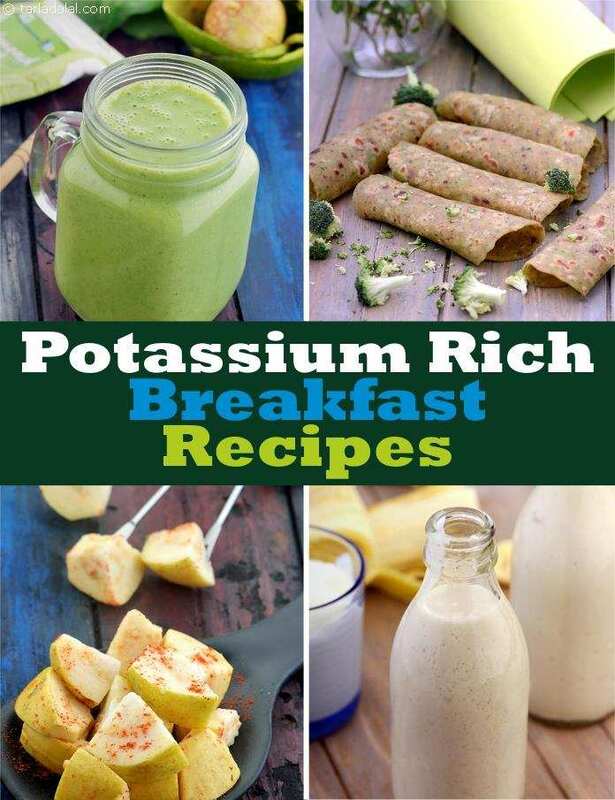 And on days you haven’t had a chance to cook a potassium rich breakfast, ensure to have juices like Spinach and Mint Juice, Papaya Coconut Drink etc. or have a coconut water to make up for your early morning potassium requirement. Do you know how much potassium you need daily?